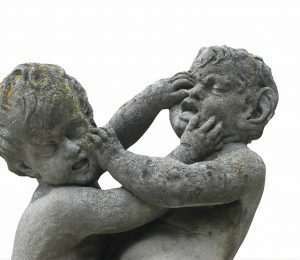 Jacob and Esau – Who’s Really the Good Twin, and Who’s the Evil One? Join Jconnect in welcoming Aviva Golbert from Pardes Institute of Jewish Studies as we analyze the story of Jacob and Esau, the original Family Feud. Aviva is the Director of the Pardes Center for Jewish Educators. She is a Jewish educator with over twenty years of experience in curriculum development, classroom teaching, school administration and educational consulting. A native of Silver Spring, Maryland, Aviva worked towards her professional goal of becoming a Jewish Studies educator at Stern College (where she was a Golding Distinguished Scholar), and is currently pursuing an advanced degree in Midrash at the Schechter Institute of Jewish Studies. Upon making Aliyah in 1996, she developed formal and informal educational materials for Melitz and at the Leo Baeck Education Center, where she also gained experience in teaching pluralistic Judaism. She then spent two years as the head of Jewish Studies at Immanuel College, London. Aviva is also an editor and translator, having worked on the new Encyclopedia Judaica, and having served as the educational editor of the Encyclopedia of the Holocaust for Young People, among other projects. Snacks and beverages will be provided, please RSVP below.